Depression in older adults may be linked to memory problems, according to a study published in the May 9, 2018, online issue of Neurology, the medical journal of the American Academy of Neurology. The study also showed that older people with greater symptoms of depression may have structural differences in the brain compared to people without symptoms. 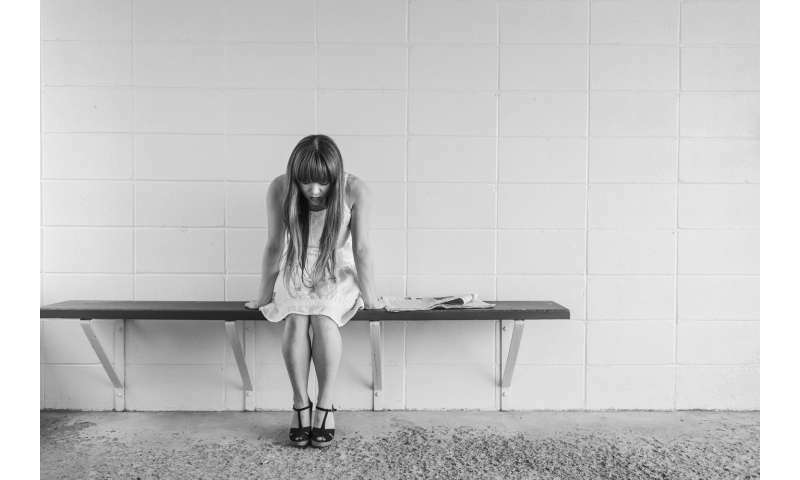 "Since symptoms of depression can be treated, it may be possible that treatment may also reduce thinking and memory problems," said study author Adina Zeki Al Hazzouri, Ph.D., MS, of the University of Miami Miller School of Medicine in Florida. "With as many as 25 percent of older adults experiencing symptoms of depression, it's important to better understand the relationship between depression and memory problems." The study involved 1,111 people who were all stroke-free with an average age of 71. The majority were Caribbean Hispanic. At the beginning of the study, all had brain scans, a psychological exam and assessments for memory and thinking skills. Their memory and thinking skills were tested again an average of five years later. At the start of the study, 22 percent of participants had greater symptoms of depression. This was defined as a score of 16 or higher on a test with a range of 0-60, which is considered at risk for clinical depression. For the test, participants reported how often in the past week they agreed with statements such as "I was bothered by things that usually don't bother me" and "I did not feel like eating." Researchers found after adjusting for age, race, anti-depressive medications, and other variables, greater symptoms of depression were linked to worse episodic memory. Scores on tests were lower by 0.21 of a standard deviation compared to those without greater symptoms of depression. Episodic memory is a person's ability to remember specific experiences and events. Researchers also found those with greater symptoms of depression had differences in the brain including smaller brain volume as well as a 55 percent greater chance of small vascular lesions in the brain. Researchers found no evidence of a relationship between greater symptoms of depression and changes in thinking skills over five years. "Small vascular lesions in the brain are markers of small vessel disease, a condition in which the walls in the small blood vessels are damaged," said Zeki Al Hazzouri. "Our research suggests that depression and brain aging may occur simultaneously, and greater symptoms of depression may affect brain health through small vessel disease." Zeki Al Hazzouri noted that the study provides information about depression and memory and thinking skills, especially among people who identified as Hispanic, who have been insufficiently studied in previous studies on the topic, even though they can be at increased risk of dementia in late life. Limitations of the study include that participants had to be healthy enough to have an MRI, so they may have been healthier than the general population. Also, the study was over a five-year period, which may not have been long enough to capture meaningful changes in thinking and memory abilities over time.